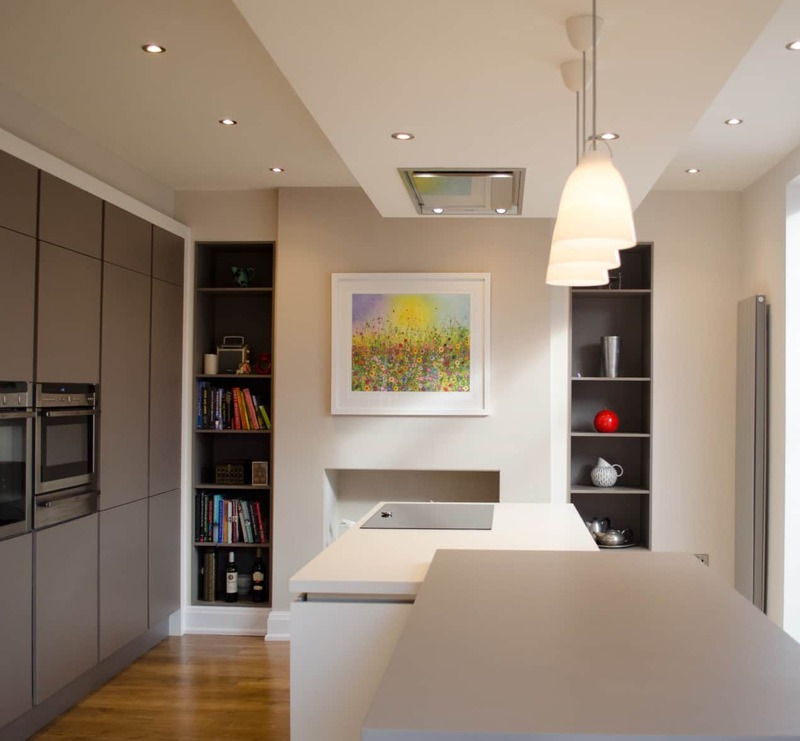 The McGowans from Chorlton opened up their kitchen space and added a sleek, modern design – making it the heart of the home. 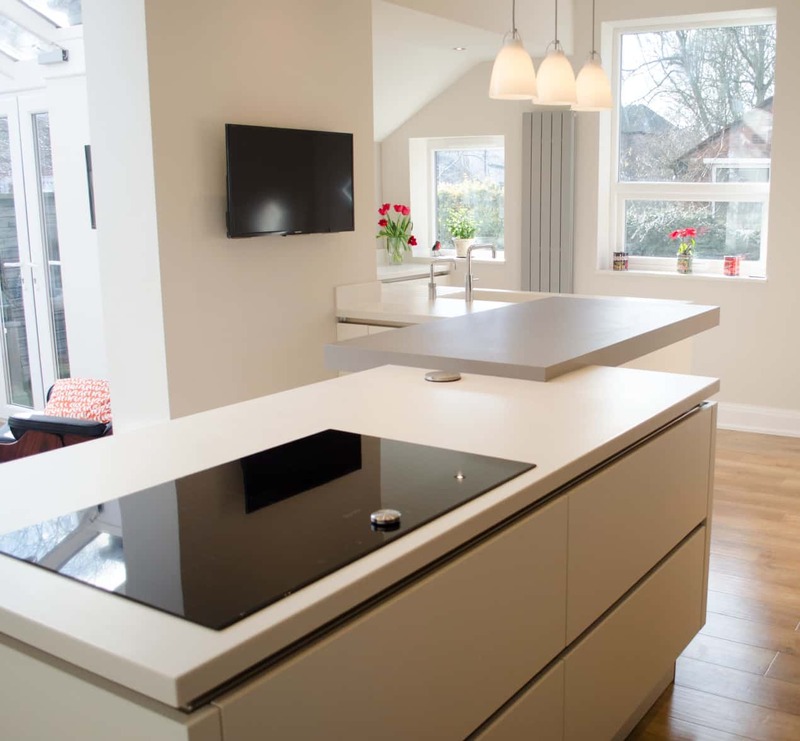 Having sacrificed kitchen space for years, with a small and slim line galley kitchen, the McGowans from Chorlton knew that their number one priority for their new kitchen would be space. “There was only space for one person to cook in our old kitchen and it wasn’t made for entertaining either,” explains Mr McGowan. While the couple knew that opening up their kitchen would be key, they still weren’t sure on the best way to make the most of their newfound space. 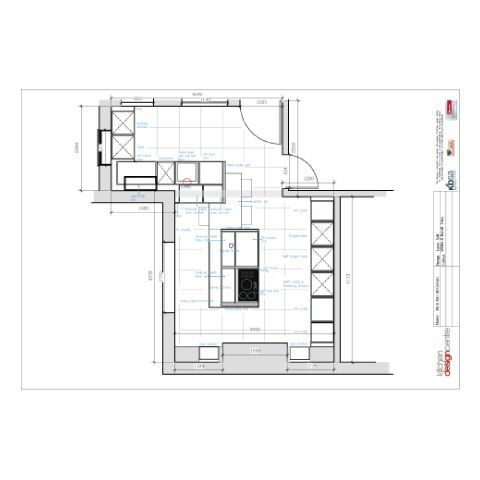 With the help of their builder, the couple opened up the existing kitchen and lounge area to create an open space. A huge perk of this redesign was that it also incorporated the couple’s conservatory, a previously underused aspect of the house, bringing in lots of natural light. “We originally picked our own builders to complete the project but unfortunately they let us down,” says Mr McGowan. 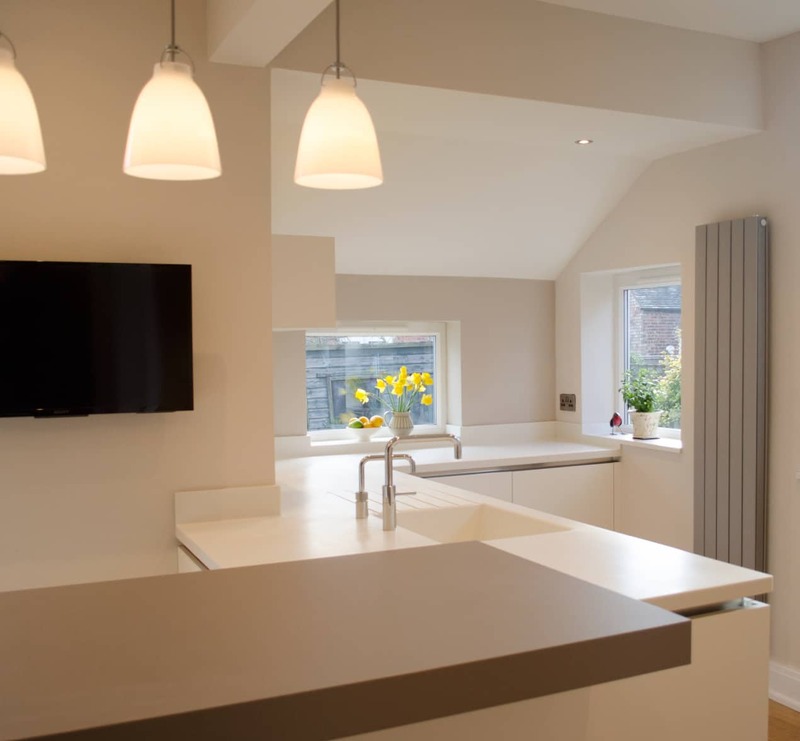 “The Kitchen Design Centre team were kind enough to recommend their own builders to us – and despite living a fair distance away from our home they always turned up on time and did a fantastic job!” he adds. Keen to make the most of their new space, the McGowans from Chorlton turned to John, at Kitchen Design Centre, for his expert help. “My wife came across the company online and they really did rival all the major companies,” says Mr McGowan. “We loved their designs.” John guided the pair through the whole design process and came up with a kitchen design that wowed. 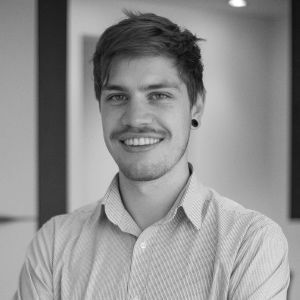 “It was completely different to what we thought we wanted- but it worked. We made very few changes ourselves,” says Mr McGowan. 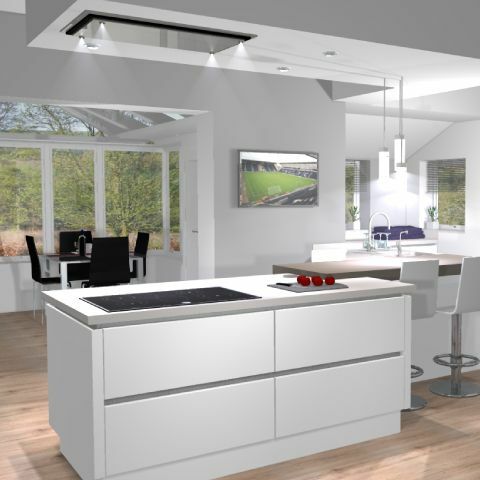 The final design involved linking the old kitchen space and lounge area together by fitting an 80mm feature breakfast bar between a peninsula and an island. This became the focal point of the new living area. 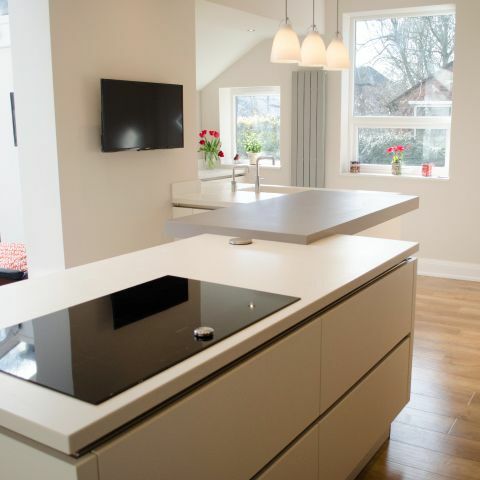 Cameo white Corian worktops were also added to give the kitchen a sleek, modern finish, which was also enhanced with the kitchen’s stylish, handleless design. 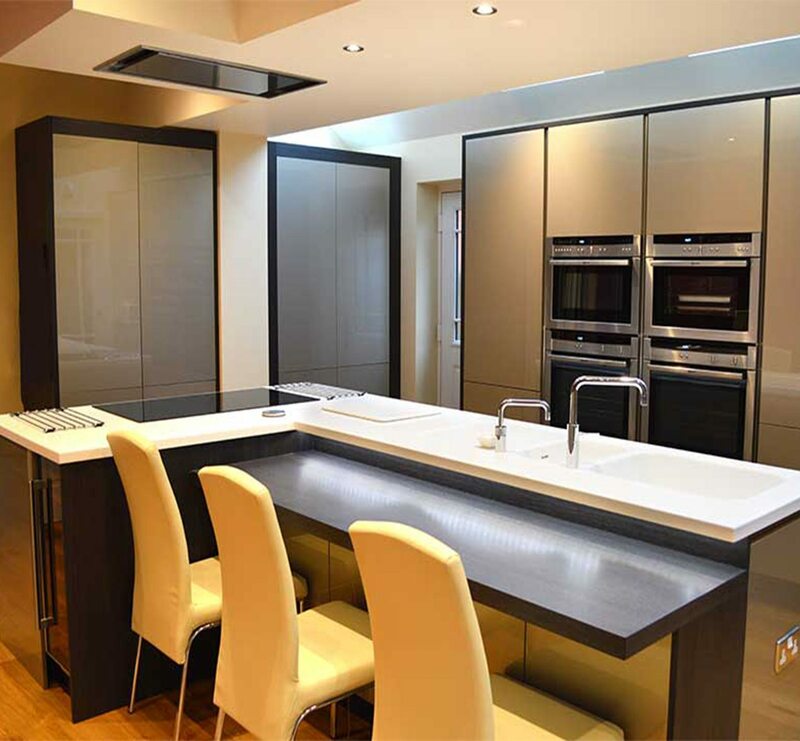 To make sure the design wasn’t too clinical, John also recommended laser soft basalt grey and antique white cabinets – creating a chic and modern, yet welcoming, atmosphere. 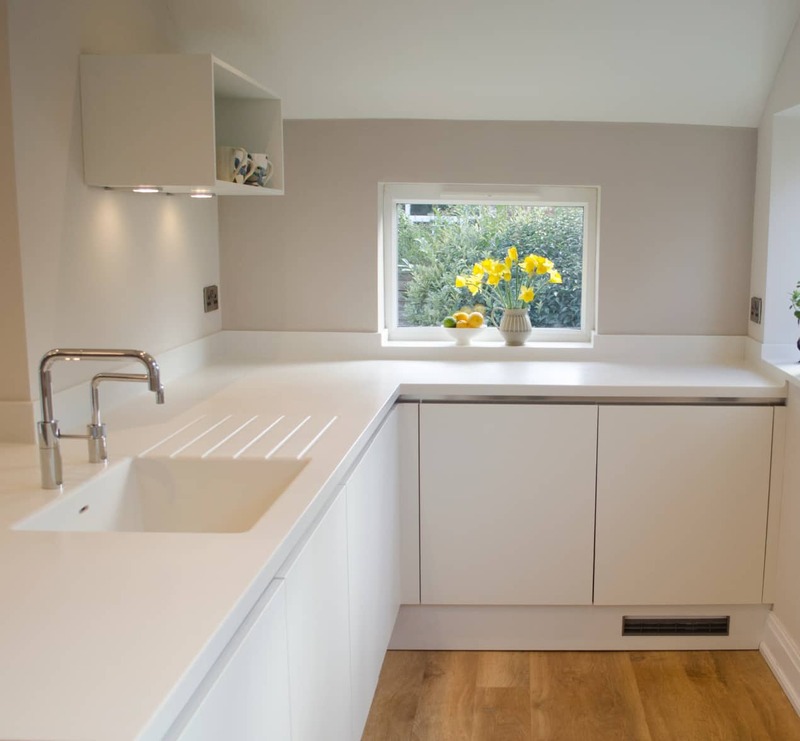 When it came to the McGowan’s new kitchen design every detail mattered for their house in Chorlton. In fact, even the ceiling got a revamp with a new extractor hood, while tall units ensured the space and height of the kitchen were used to their maximum potential. 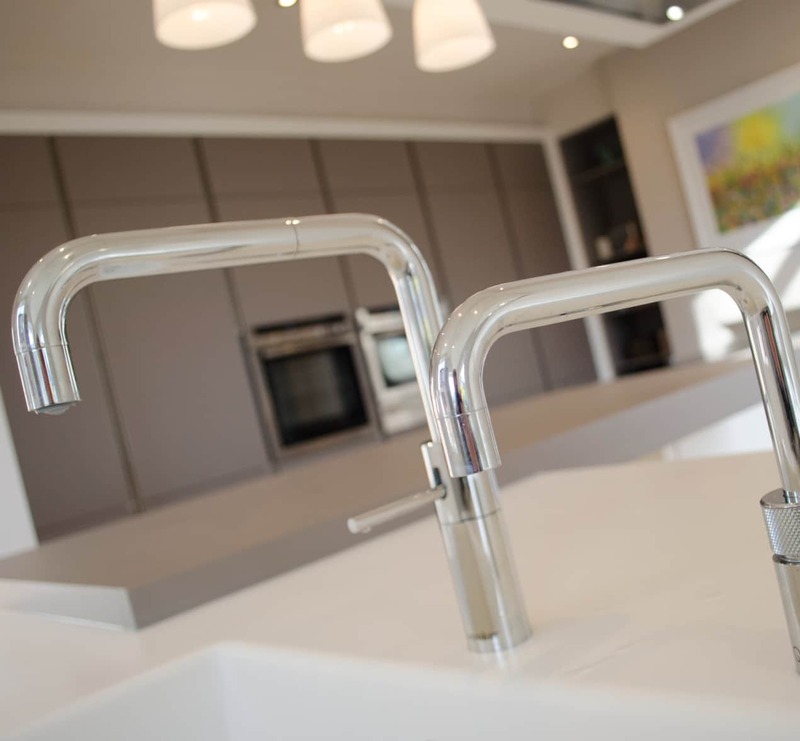 As with all our kitchens, the best in appliances were also fitted. The couple opted for Neff’s single oven, combination microwave, warming drawer, and extractor, which together provided the perfect cooking environment. 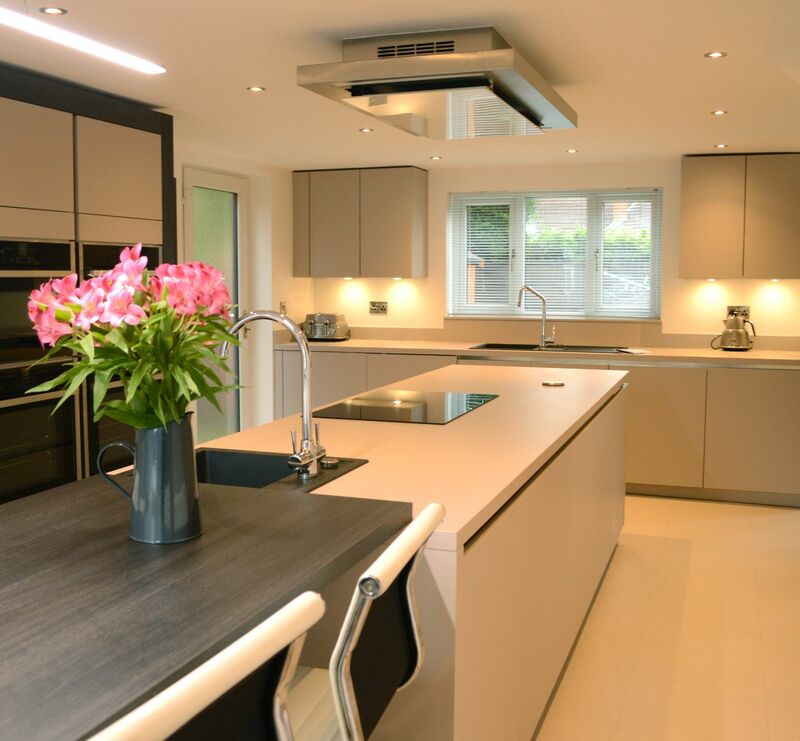 "Our new kitchen is fantastic – we spend more time in there than in the rest of the home!" "I wanted to make the most of the McGowan’s new space so utilised the height of the room and created a bank of tall units, which housed the ovens, tall fridge/freezer and important larder units. It was also important to make the space extremely liveable, so I designed the hob on the kitchen island – allowing the person cooking to watch the TV at the same time, while also talking to their guests in the conservatory." “The new redesign really maximised the potential of the McGowan’s home in Chorlton and I hope they get lots of enjoyment from their new space."